This Dragon was first spotted in Ft. Lauderdale, Florida. 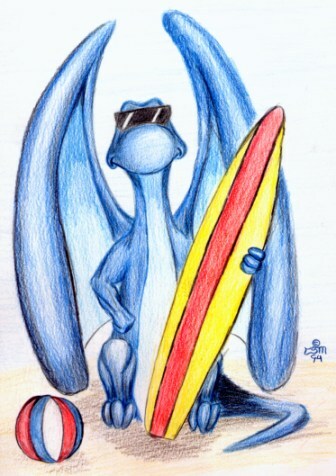 Found only near beaches, this dragon goes nowhere without his surf board. His small size gives him an advantage that human's don't have - almost any body of water has waves big enough for him to surf on.